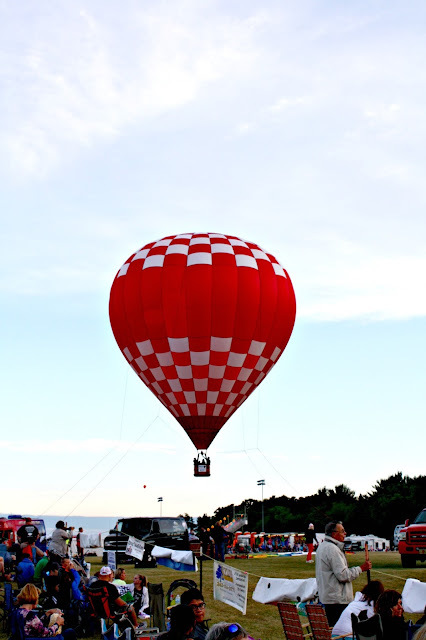 Last Friday, we headed up to Waterford, Wisconsin for their 6th Annual Balloonfest. 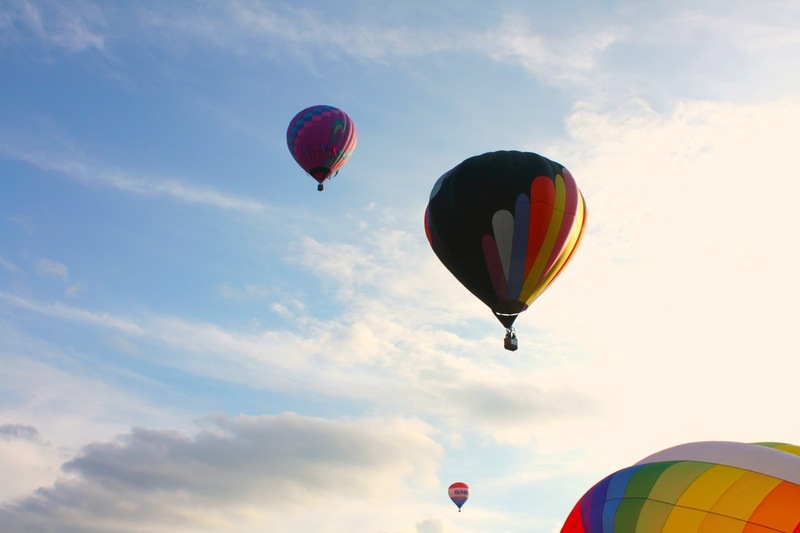 With spectacular weather, watching brilliant balloons dot the sky ushered in the perfect cap to a summer day. The balloon festival had a wonderful set up for families to spread out and lay down a picnic or just cluster some chairs to watch the balloons. 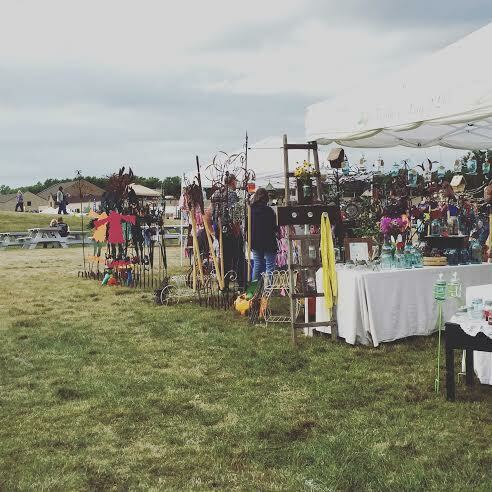 A craft fair with local artisans, games, amusements and food tents provided additional asides. 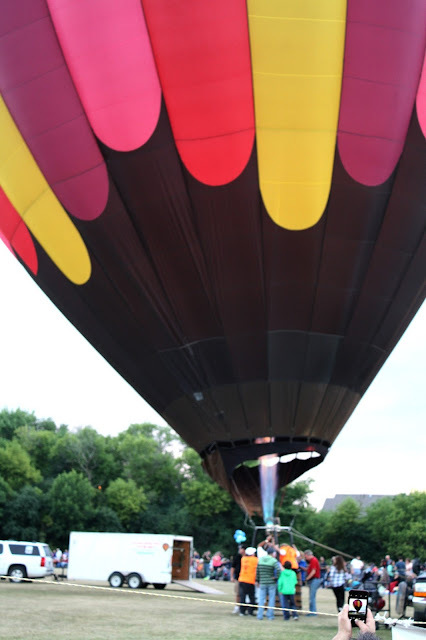 Tethered balloon rides and helicopter rides added more thrills. Live entertainment had the audience hopping to familiar tunes performed by the ever favorite Kids from Wisconsin! Sweet summer fun! Once the balloons rolled out, we enjoyed watching the inflating process trying to anticipate which balloon would float off next. After the initial launch, we had a little time to relax before the evening balloon glow. With the set up in Waterford, this would be a perfect time to check out the games, artistans and food vendors or just kick back for a bit. 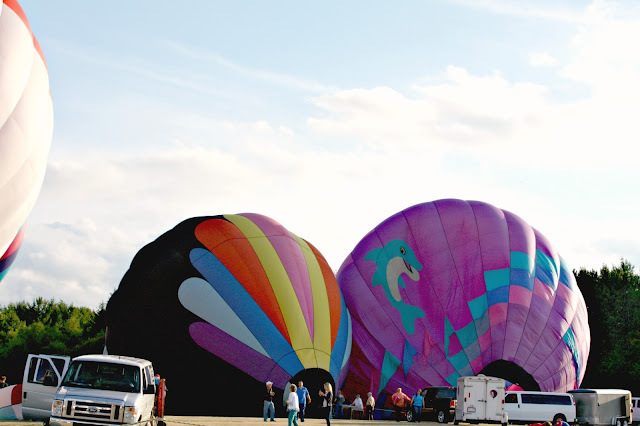 Once the balloons were driven back, they were reinflated for the the glow. All in all a beautiful event and great summer memory. 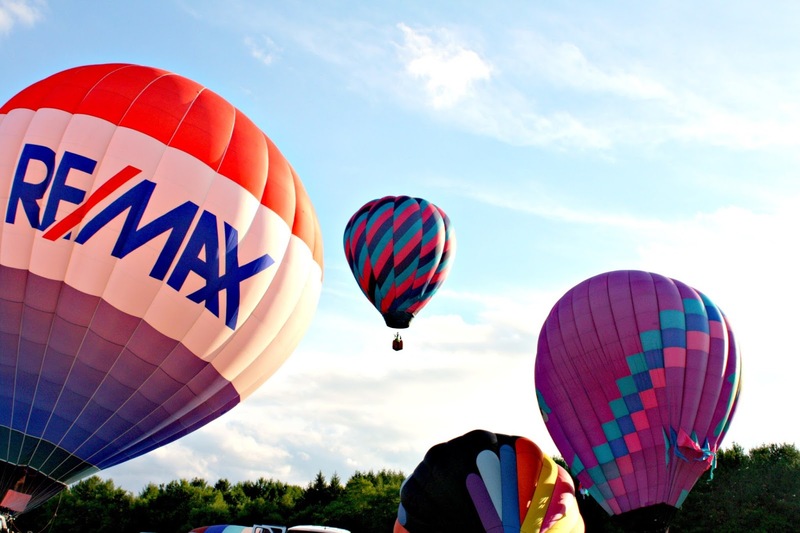 Balloon festivals are one of those great summer pleasures. 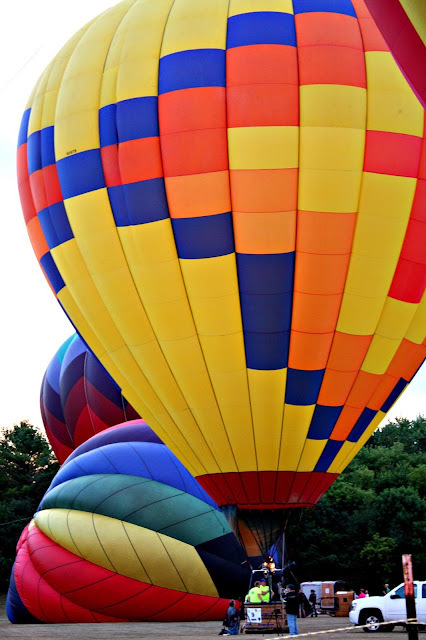 We found the event an excellent way to unplug, sit back, relax and sit in amazement as hot air balloons float across the sky. A magical day! If permitted, put down a blanket or set out some chairs to save your spot for the launch. Bring a picnic if outside food is permitted or purchase food from vendors for a nice picnic. Verify approximate balloon times but be prepared to wait a bit. Hydration is important. You may be waiting out a bit, so don't forget to stay hydrated! Bring a game or two for the kids. Some launches are early in the morning, but well worth it! Launches are weather permitting, so verify weather before leaving home.